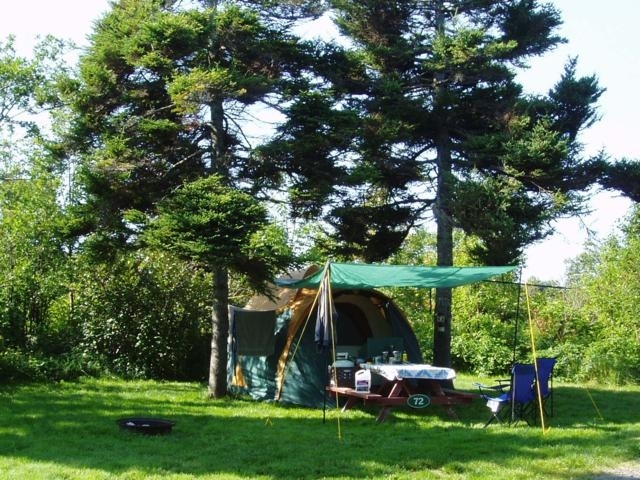 Site #72 is a grassy, sheltered unserviced tent site which is bordered on two sides by woods and shares a space with Site #73, making it an ideal location for parties who wish to camp together. 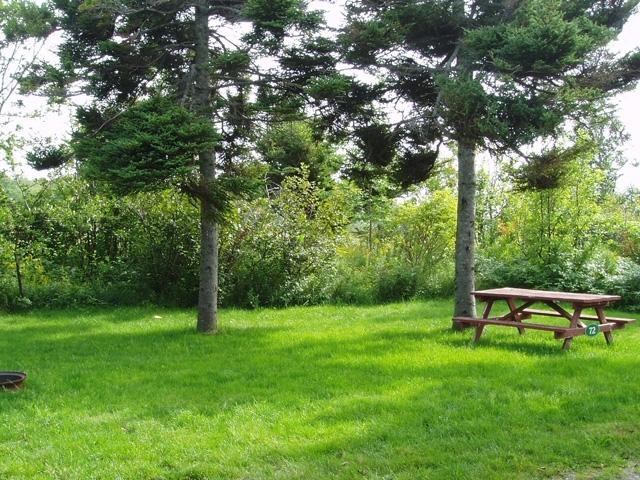 This site will accommodate one tent and a dining tent, and is equipped with a picnic table and fire ring. Drinking water taps, portable toilets and the walking path to the shoreline are located within a short distance.